Here’s the thing about so-called terrorism experts: a lot of them are con men who have made millions lying to the public, military officials, and pretty much everyone else. If you read American Police Beat, you might remember the tale of Walid Shoebat. 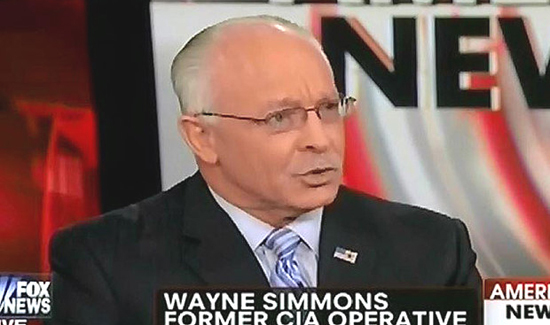 But Shoebat was a rank amateur con man compared to FOX News terrorism “expert” Wayne Simmons. According to reports, a ‘former CIA agent’ who frequently talked national security on Fox News was actually just an extremely talented con man with a penchant for scamming Fox News producers and government contractors alike. On Thursday, federal prosecutors reportedly charged Wayne Simmons with false statements, major fraud against the U.S., and wire fraud. You’ve got to hand it to the guy. Simmons was such a convincing liar, he was invited to train at a U.S. Army facility after allegedly lying his way into the job.